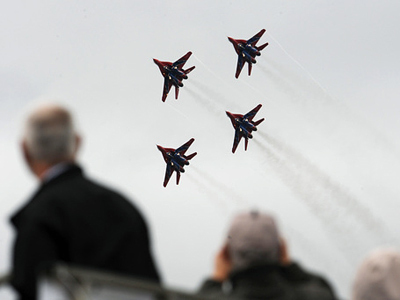 The ongoing biennial MAKS aviation show near Moscow is showcasing billions of dollars’ worth of new technology as the future of the world’s civilian and military aviation gather on one spot. 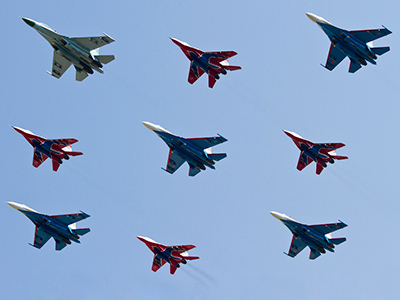 ­Practically all major companies in the field of aviation technology – many of them Russian – are participating in the show. 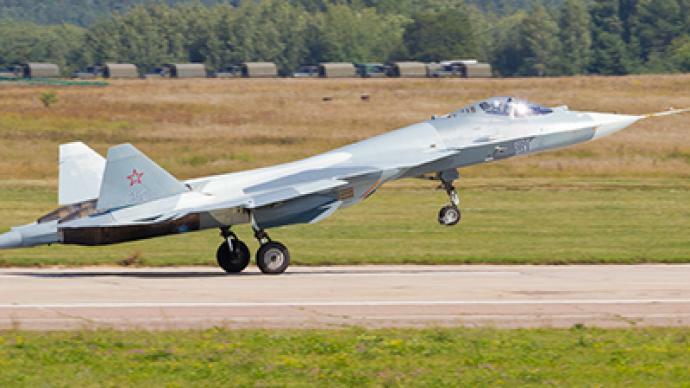 Probably the most-anticipated model in Russia’s portfolio is Sukhoi’s T-50 (PAK FA) fighter jet – the first new-generation military aircraft made by Russia in well over 20 years. After a year and a half of test flights, this will be its public debut. Military expert Douglas Barry says there are two main features of the T-50. As the military expert went on to explain, apart from its stealth capabilities, the fifth-generation combat aircraft also has internal weapons carriage. “Your primary weapons load goes inside, rather than hanging outside, because a weapon hanging on the outside of the aircraft means it’s more detectable by other fighters’ radars,” Douglas Barry said. Every model of new commercial aircraft from around the world will be on show. Boeing has brought its 787 Dreamliner, while Airbus is presenting the world’s biggest commercial aircraft, the A-380. The organizers think they can achieve or even go beyond the $US 10 billion worth of contract deals they secured at the last show in 2009. This time, more civilian contracts are expected to be signed, so the 2011 focus will pass from military and defense to the commercial arena. Over the last two years the aviation market and industry have been through multiple ups and downs, but with demand for new aircraft booming, the market is bouncing back. “We are optimistic about how the things are going,” confides Christopher Buckley, Airbus vice president for Europe, Asia and the Pacific region. He believes that despite Russia introducing its new MS-21 middle-range aircraft, Airbus’ rival A-320 will continue to do very well on the Russian market. The MS-21 will not be available until 2016 and even then, he thinks, the new rival will only stimulate more improvements, making Airbus even more competitive.